Ana Cristina Santos will give a series of lectures on memory, territories and human rights - Gender, within "diplomado Derechos humanos, Buen vivir, Interculturalidad y Posacuerdos, 30 november - 11 dicember in Pasto (Colombia) coursed by Instituto Alexander Von Humboldt. 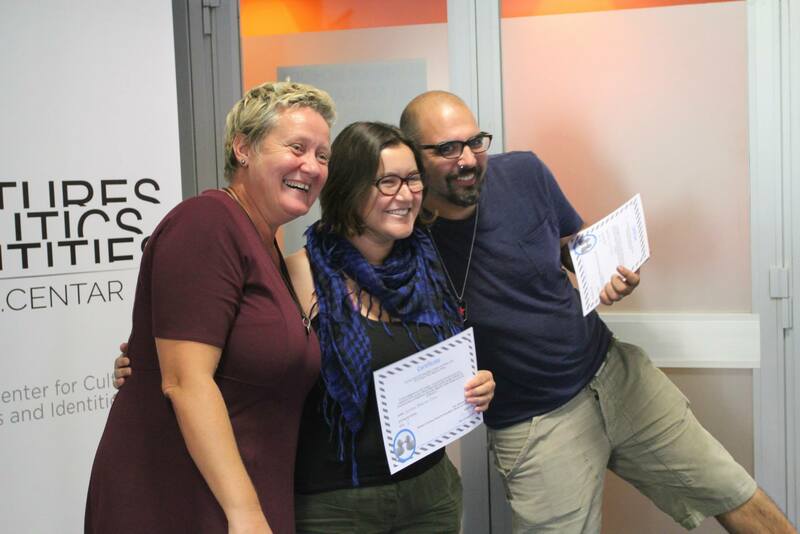 Tatiana Motterle attended the 6th Political Summer School held by the organization Be Free (Rome), called “Of love and shadows – Good, mean, free, tyrant, symbolic, transgender, surrogate, excellent, terrible MOTHERS” (“D’amore e d’ombra – buone, perfide, libere, aguzzine, simboliche transgender, surrogate, ottime, pessime MADRI”), 28 August - 2 September 2016, in San Martino al Cimino (Viterbo). 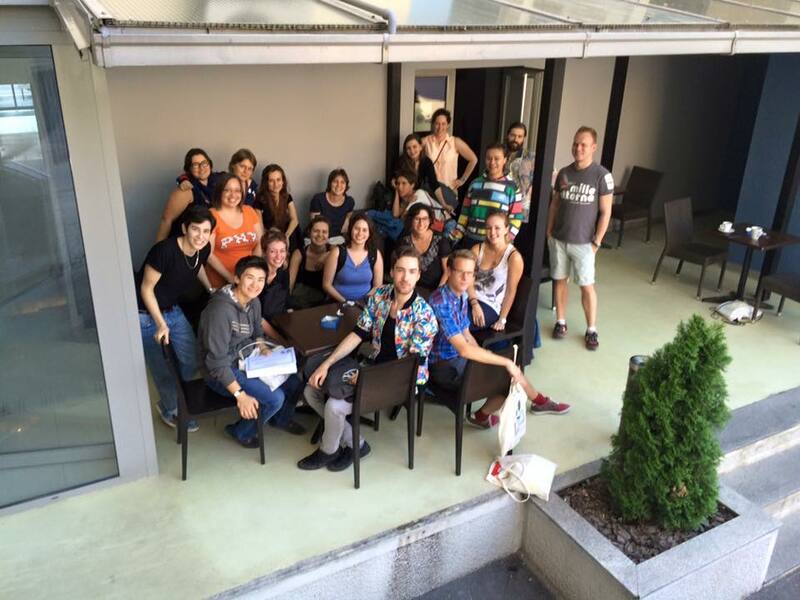 Ana Lúcia Santos and Luciana Moreira Silva attended the Summer School for Sexualities, Cultures and Politics, 16-23 August, in Belgrad, coursed by Lee Edelman and Lynne Huffe among other authors and artists. 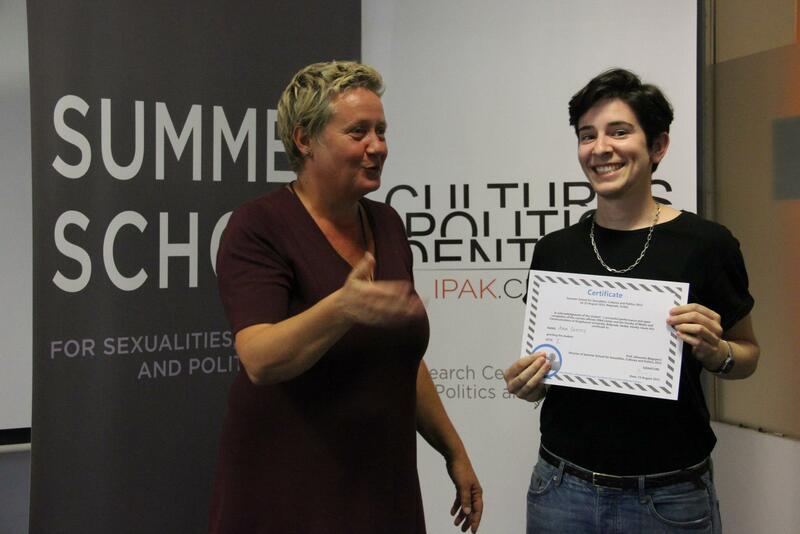 Luciana Moreira Silva presented the paper "Queering Families: Friendship as a Transgressive Network in Lesbian “Communities” In Madrid", chaired by Lynne Huffer. INTIMATE team has benefited from an intensive 5 days training workshop on the Biographic-Narrative Interpretive Method. This training was provided at the Centre for Social Studies, our host institution, by Tom Wengraf and Prue Chamberlayne, authors of the method and experienced mentors. This both theoretical and hands-on training programme comprised the Interview Method and the Interpretation Method, including sessions on comparison between and theorization from cases.